We manufacture floor maintainers that give a high gloss and wet look while also cleaning the floor. 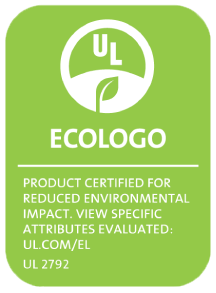 These maintainers come in a number of different chemical solutions, some of which can be mopped on, and others that can be used as a spray buff. 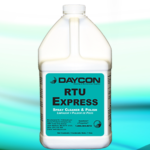 RTU Express is a spray cleaner and polish formulated for use on all floor finishes. 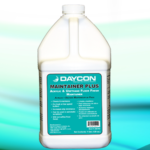 Maintainer Plus is a high- or low-speed maintainer for acrylic and acrylic/urethane floor finishes. 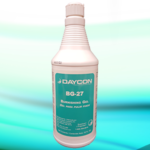 BG-27 is a state-of-the-art ready-to-use formula for all acrylic and urethane floor finishes. 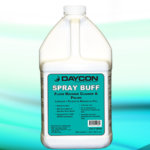 Spray Buff is a ready-to-use spray cleaner and polish formulated for use with low-speed floor machines. Sunrise is a high-speed maintainer for acrylic and acrylic/urethane floor finishes.